One of the key ingredients you should be mindful of during the holidays is sugar, which is prevalent in many of the customary dishes and alcohol. The problem is it’s the main form of sustenance for bacteria, which are the leading contributors to poor oral health. By setting limits on how much sugar you will consume, you can prevent the excess growth of harmful bacteria and better protect your mouth, teeth and gums. At many parties, you’ll find the infamous snack trays that may be stacked with mounds of sugary delights. Instead of falling prey to all of the unhealthy choices and possibly suffering from accelerated tooth decay, look for healthier options like fruits and vegetables. Another way to fortify your dental wellness is to brush and floss your teeth between 30 and 60 minutes after eating or drinking. This timeframe is important to maintain because it will prevent any damage to your enamel yet will remove the lingering debris that could contribute to bacteria growth. If you can’t brush or floss your teeth after eating or drinking, one way to remove the leftover particles is to chew sugar-free gum. The back-and-forth grinding action helps to generate saliva that will aid in bathing your teeth and flushing away the remaining debris. Along with enacting the above protocols, this is a great time of the year to visit your dentist in Newark for preventive care. While there, you’ll receive a checkup and cleaning that will provide assurance that you’re not secretly being attacked by growing plaque and tartar. 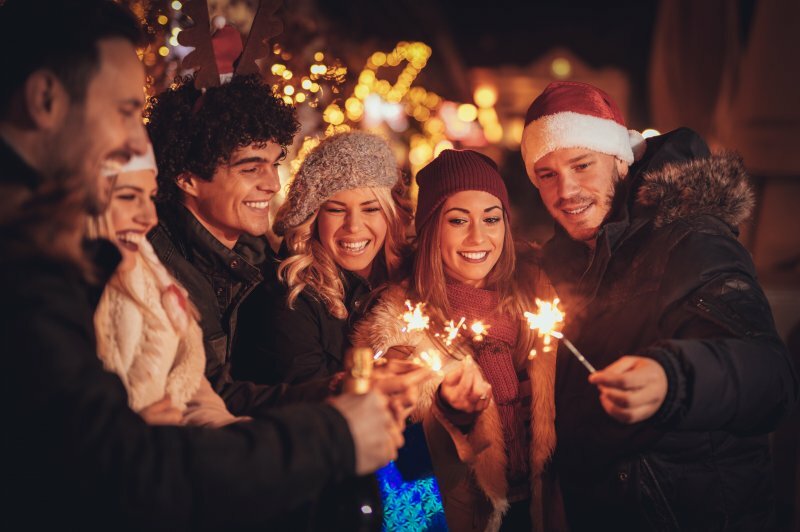 By taking a more proactive approach to your dental wellness and implementing what you’ve learned here, you can enjoy excellent oral health over the holidays without having to miss out on any fun. Dr. Timothy D. Ganfield is a graduate of Temple University. After finishing his degree work, he went on to complete a dedicated residency in general dentistry at Christiana Care Hospital. To stay abreast of the latest changes in the world of dentistry, Dr. Ganfield takes continuing education courses throughout the year. He helps patients enjoy the best in dental health at White Clay Dental, and he can be reached for more information through his website.